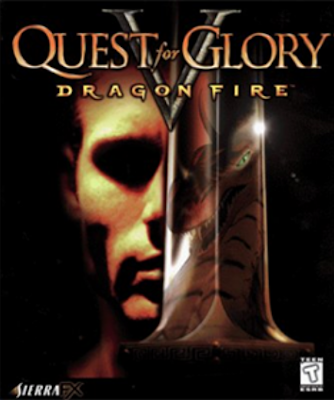 Quest for Glory V: Dragon Fire was the fifth and final Quest for Glory game. It used a 3D engine with direct control of the character, rather than the 2D point and click engine the previous games used. The hero enters a contest to become king of Silmaria, but an assassin is killing off all of the contestants.